Richard Dawkins's groundbreaking book The God Delusion created an explosion of interest in the relation of science and faith. This often troubled relationship between science and religion was seemingly damaged by the rise of the New Atheism, which insisted that science had essentially disproved not just God but also the value of religion. There is increasing skepticism towards its often glib and superficial answers; and the big questions about faith, God and science haven't gone away--in fact, we seem to talk about them more than ever. 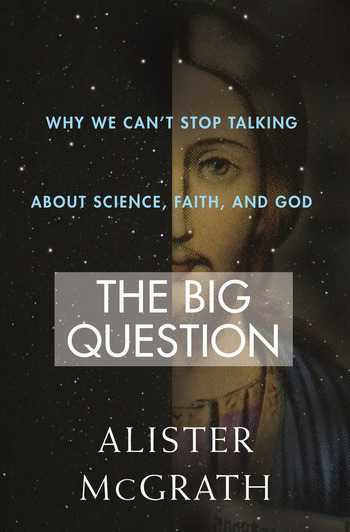 Alister McGrath's The Big Question is an accessible, engaging account of how science relates to faith, exploring how the working methods and assumptions of the natural sciences can be theologically useful. McGrath uses stories and analogies, as well as personal accounts, in order to help readers understand the scientific and theological points he makes, and grasp their deeper significance. An extremely accomplished scientist and scholar, McGrath criticizes the evangelism of the New Atheists and paves a logical well-argued road to the compatibility between science and faith. ALISTER MCGRATH is a scholar in the interaction of theology and the sciences and currently holds the post of Andreas Idreos Professor of Science and Religion at Oxford University, the world's most prestigious academic position dedicated to the exploration of the relation of science and faith. McGrath is author of many books on theology and religion, including The Dawkins Delusion? : Atheist Fundamentalism and the Denial of the Divine. He lives in Oxford, UK.